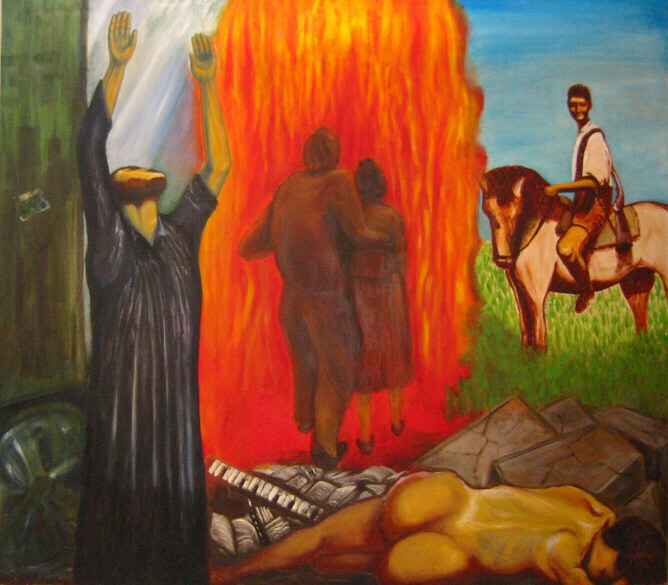 Here are some of my paintings related to the Holocaust (Shoah). The Fallen (ca. 1985) When I was young I was obsessed with the Shoah (something that I have written about in my autobiographical novel "Amanuensis" (available on Amazon.com), about growing up in the East End of London where I and my family experienced extreme anti-Semitism). I saw the pictures of bodies from the camps being bulldozed and it stayed with me. 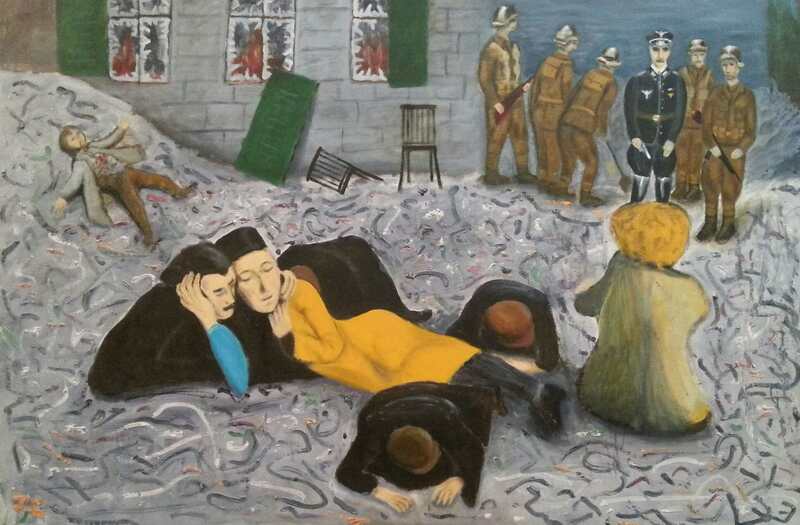 Like the people sleeping in the London underground that became a theme for Henry Moore in his sculptures, I wanted to depict these bodies in painting. But, I could not paint them merely in black and white as dead bodies, I wanted to give them back a measure of life. 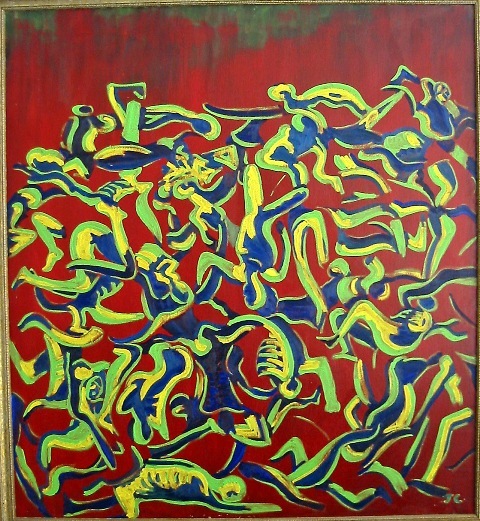 I adopted the style of Henri Matisse, who did several paintings of dancers in a circle in bright colors in 1909-10. 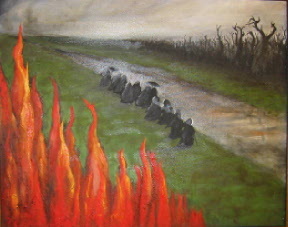 In my mind the two images fused and I produced a painting of the Shoah victims as if they were still dancing in death. I believe this approach is novel and adds to our feeling for the victims.